Vodka Cruisers have an alcohol content of 4.8 percent. Each bottle contains about the same amount of alcohol as a shot. There are a variety of fruity flavors such as raspberry and lemon. There are also sugar-free flavors, which have fewer calories. The number of calories in Vodka Cruisers varies depending on the flavor. The raspberry flavor has 176 calories, while the lemon has 210. Vodka Cruisers have zero grams of fat and protein. Each bottle has about 25 g of carbohydrates. At 4 calories per carb, that's 100 calories from carbohydrates. Vodka Cruiser Free is a sugar-free option. 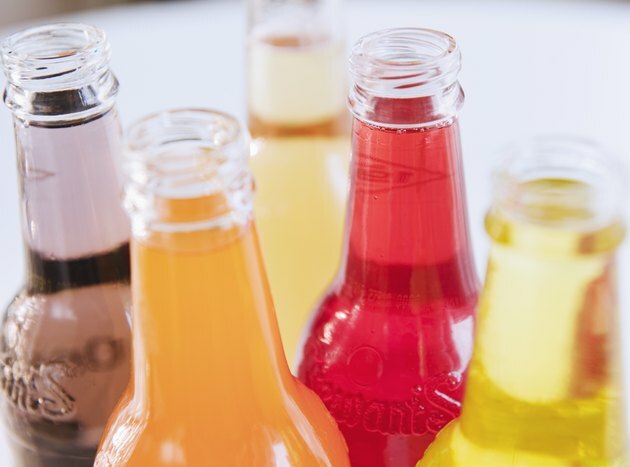 These drinks have about 70 calories and no carbohydrates, fat or protein. Vodka Cruiser and Vodka Cruiser Free dinks contain alcohol, which can impair your judgment and ability to drive. Do not drink if you are under the age of 21 or if you are pregnant.